Kevin Thomas appeals from the order denying his petition for resentencing under Proposition 47. (Pen. Code, §1170.18.) Appellant argues that his second-degree burglary conviction, based on his entry into a law office, meets the definition of the new crime of misdemeanor shoplifting in section 459.5. [i]n November 2012, appellant was charged with seven counts of commercial burglary (§ 459), committed on separate occasions against separate businesses. There were additional charges of grand theft, attempted grand theft, and petty theft with priors, all stemming from the alleged burglaries. A number of prior felony convictions, including a prior strike conviction, also were alleged. Appellant pled no contest to count 1, burglary of the Law Offices of Gennady Lebedev, admitted a prior strike conviction, and was sentenced to six years in prison. The court dismissed the remaining counts after appellant gave a Harvey waiver, allowing for victim restitution on the dismissed counts. In March 2013, the court ordered restitution in stipulated amounts: $1,500 to Justin Trugman, $4,133.35 to Wild Woods, Inc., and $3,104.98 to Matthew Hebard. `[a] Harvey waiver permits the sentencing court to consider the facts underlying dismissed counts . . . when determining the appropriate disposition for the offense . . . of which the defendant stands convicted.’ (People v. Munoz (2007) 155 Cal.App.4th 160, 167, citing People v. Harvey (1979) 25 Cal.3d 754.) In People v. Hoffman (2015) 241 Cal.App.4th 1304, 1310–1311, the court held that a Harvey waiver does not allow consideration of dismissed counts for purposes of determining eligibility under Proposition 47. Respondent does not argue otherwise. Trugman Music was identified in counts 3 and 4; Wildwoods Studio in counts 9 and 10. It is unclear from the record under which count restitution was awarded to Matthew Hebard, whose name appears in neither the information nor the probation report. [i]n November 2014, appellant petitioned for resentencing under Proposition 47. In considering whether appellant's conviction on count 1 satisfied the elements of section 459.5, the court reasoned that a law office offers services for sale. It assumed that the office had been open for business, based on the representation of appellant's Proposition 47 counsel, who had spoken to appellant's counsel in the underlying case. 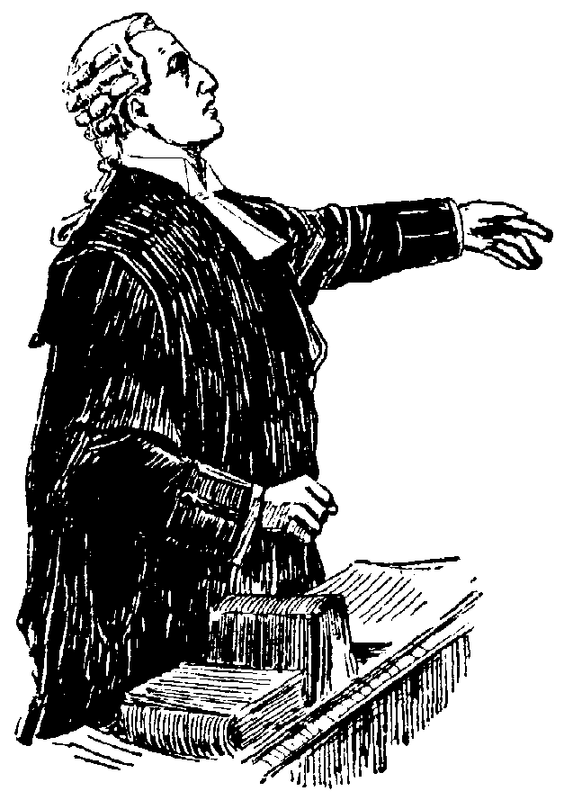 The court found that the value of the property taken from the law office exceeded $950, citing `the stipulation to the amount of damage to that one count.’ Because it believed itself bound by appellant's stipulation to the amount of loss on count 1, the court declined to consider his argument that there was conflicting evidence of the value of the lost property: the probation report listed the value of the computer taken from the law office at $1,500, but the victim signed a restitution request for $500. [i]n addition to the computer valued at $1,500, the probation report lists the law office property loss as including a camera valued at $200, a briefcase valued at $50, a USB drive valued at $30, and an iPod valued at $40. Appellant relied on records turned over to him by his attorney in the underlying case. Those records were not received by the court, and are not part of the record on appeal. [r]espondent argues that burglarizing a law office is not shoplifting because a law office, unlike a bank, is not a commercial establishment. We do not agree. People v. Thomas, supra (emphasis in the original). [t]he problem with reclassifying theft offenses as misdemeanors where private information is stolen is not limited to cases implicating attorney-client confidentiality, contrary to what respondent appears to suggest. The issue is currently pending before the California Supreme Court in cases involving financial transactions. (See e.g. People v. Gonzales (2015) 242 Cal.App.4th 35, review granted Feb. 17, 2016, S231171 [whether entering bank to cash forged checks is shoplifting]; People v. Cuen (2015) 241 Cal.App.4th 1227, review granted Jan. 20, 2016, S231107 [whether conviction for possession of access card account information under § 484e, subd. (d) is eligible for section 1170.18 resentencing]; People v. Romanowski (2015) 242 Cal.App.4th 151, review granted Jan. 20, 2016, S231405 [same].) Thus, respondent's premise that the burglary of a law office raises fundamentally different confidentiality concerns than the burglary of a financial institution is flawed. Even assuming that the definition of shoplifting in section 459.5 lends itself to the narrower construction advocated by respondent, that would only render it ambiguous. The ballot materials do not support such a construction as they direct that the act be construed `broadly . . . to accomplish its purposes.’ (Cal. Voter Information Pamp., Gen. Elec. (Nov. 4, 2014) text of Prop. 47, p. 74, § 15; see also id. at p. 74, § 18 [act shall be “liberally construed to effectuate its purposes”].) The voters intended `nonserious, nonviolent crimes like petty theft and drug possession” to be “misdemeanors instead of felonies.’ (Id. at p. 70, § 3, subds. (3) & (4).) We see no indication that the voters intended the theft of personal property that incidentally contained private confidential information to fall outside the scope of Proposition 47. For example, the initiative made check forgery a misdemeanor where the value of the check does not exceed $950, unless the defendant is convicted of forgery and identity theft, as defined in section 530.5. (§ 473.) If the potential for identity theft, without an actual conviction, is insufficient to preclude reclassifying check forgery as a misdemeanor, then stealing a lawyer's computer that happens to contain confidential client information should not preclude reclassification either. We are not convinced that burglary of a law office that involves taking a computer which happens to contain confidential information is outside the scope of Proposition 47. Section 459.5, subdivision (a) also requires that (1) the burglarized commercial establishment be `open during regular business hours,’ and (2) the value of the property taken or intended to be taken not exceed $950. As to the second requirement, respondent concedes the trial court mistakenly believed that, in the underlying case, appellant had stipulated to the value of the property taken in count 1. The record on appeal does not show a stipulation as to that count. At the hearing on his Proposition 47 petition, appellant brought the court's attention to discrepancies in the valuations of that property in the probation report and in a victim's request for reimbursement. The court rejected appellant's argument on the mistaken belief that appellant had stipulated to the value of the loss in count 1 and did not consider the evidence on which appellant relied. The trial court must make factual findings about appellant's eligibility for resentencing in the first instance. (People v. Contreras (2015) 237 Cal.App.4th 868, 892.) The court's findings that appellant entered the law office during business hours and that he stipulated that the value of the property he took exceeded $950 are unsupported by the record on appeal. Representations made by appellant and his counsel at the hearing indicate that the factual record may be developed further. The trial court has `substantial flexibility to devise practical procedures to implement Proposition 47, so long as those procedures are consistent with the proposition and any applicable statutory or constitutional requirements. [Citation. ]’ (People v. Fedalizo (2016) 246 Cal.App.4th 98, 108.) On remand, the court may exercise its discretion whether determining appellant's eligibility requires augmentation of the factual record either by allowing the parties to submit additional evidence or by holding a hearing. The court therefore held that “[t]he order is reversed and the matter is remanded for further proceedings consistent with this opinion.” People v. Thomas, supra.